Here are some vids and pictures of work. We've been mad busy with service work in our #Tooting workshop all the way thru Easter & we've a full timetable of work to come this week. Happy days. 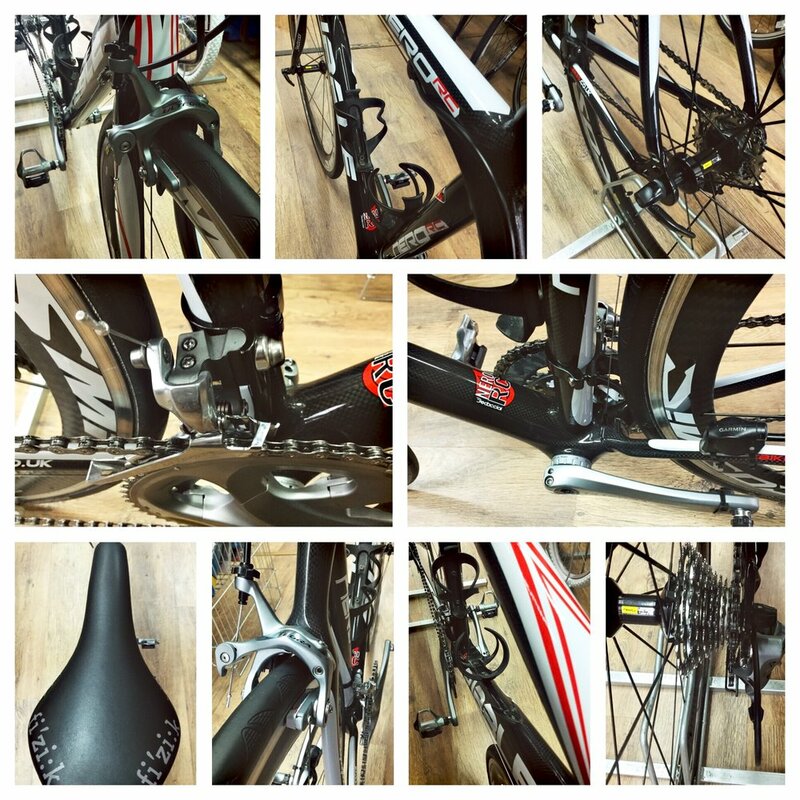 Our #Tooting workshop has been busy all week & we've a full schedule already for the week to come. 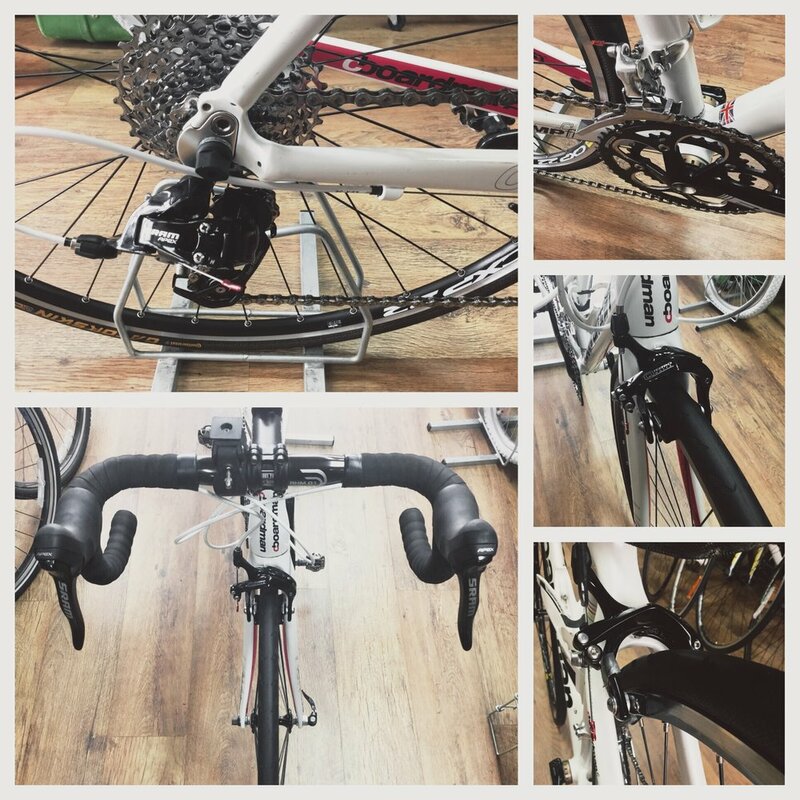 We take pride in the quality of our output, whatever your ride. 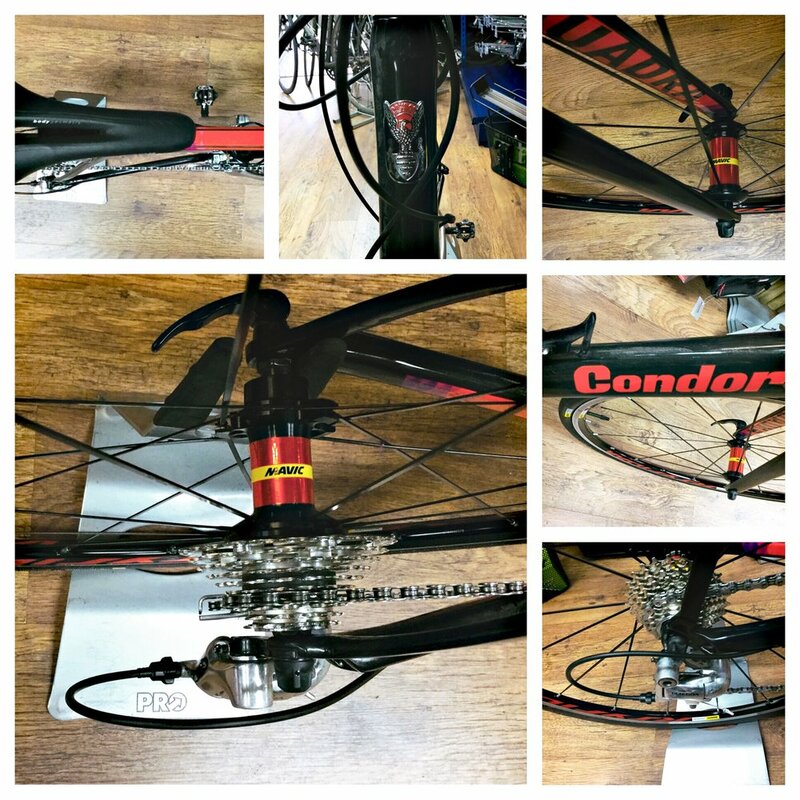 The #Tooting workshop has been busy all week with some unusual jobs including Zipp hubs and tubular tyres. We're off to spend the evening with family and friends for #Mothersday Happy Days everyone! 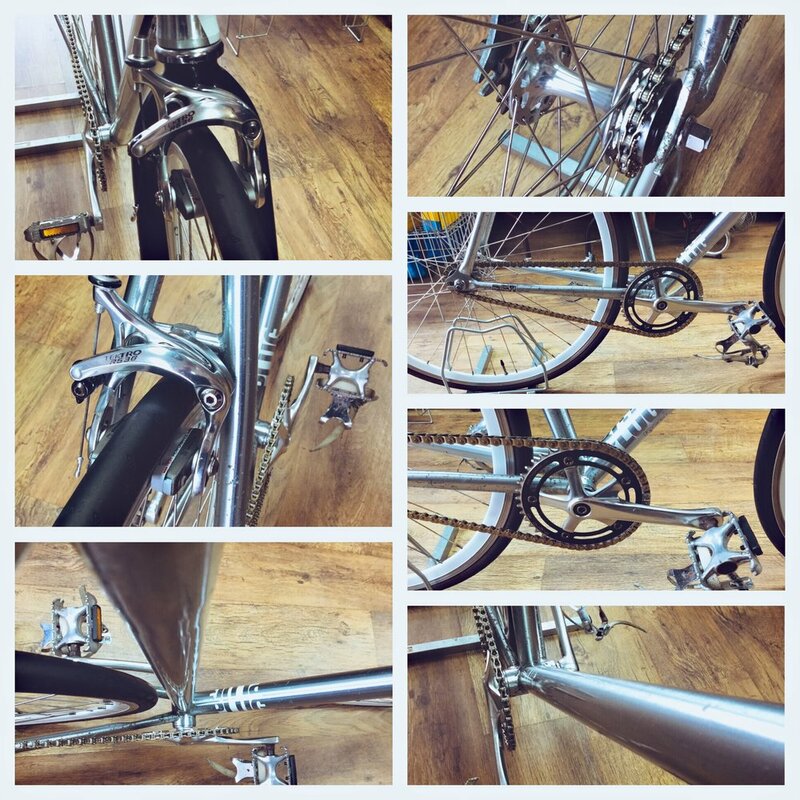 A busy few days in the #Tooting workshop saw us cracking on. Loads of services squared away & back with the clients. More work waiting for the week ahead so Happy Days all round! We've been cracking on in #Tooting this week with plenty of services like these. Roll on the season! We've powered through a shed load of work in our #Tootingworksho over the last 10 days and there's more to come! We can't get enough work!! Loving it. 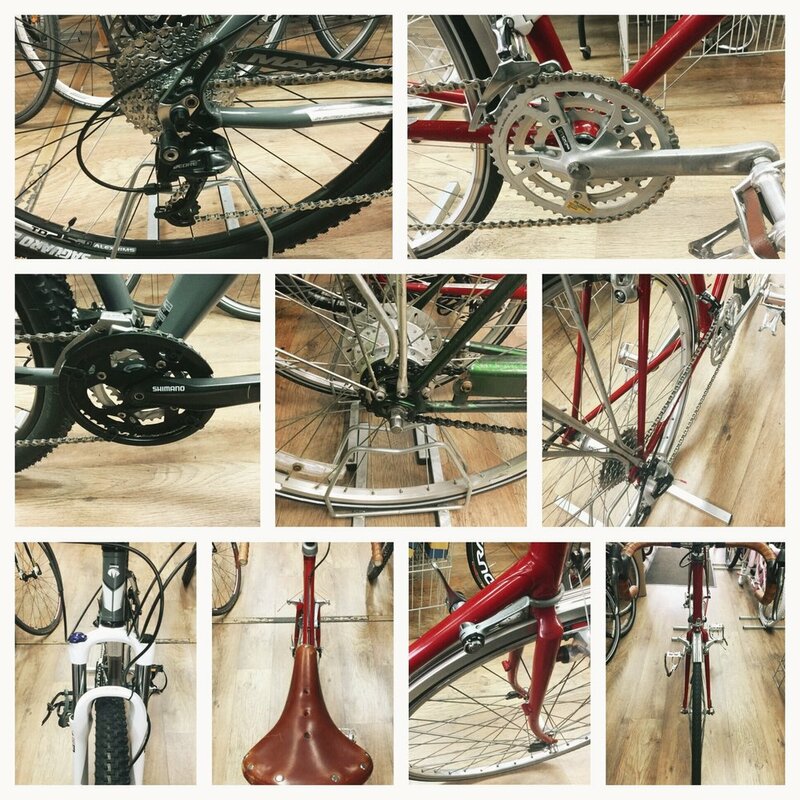 The #Tooting Bike workshop is closed tomorrow but we're back Thursday to carry on where we left off! It's a rest day for us but when we return we'll be doing plenty more of this! 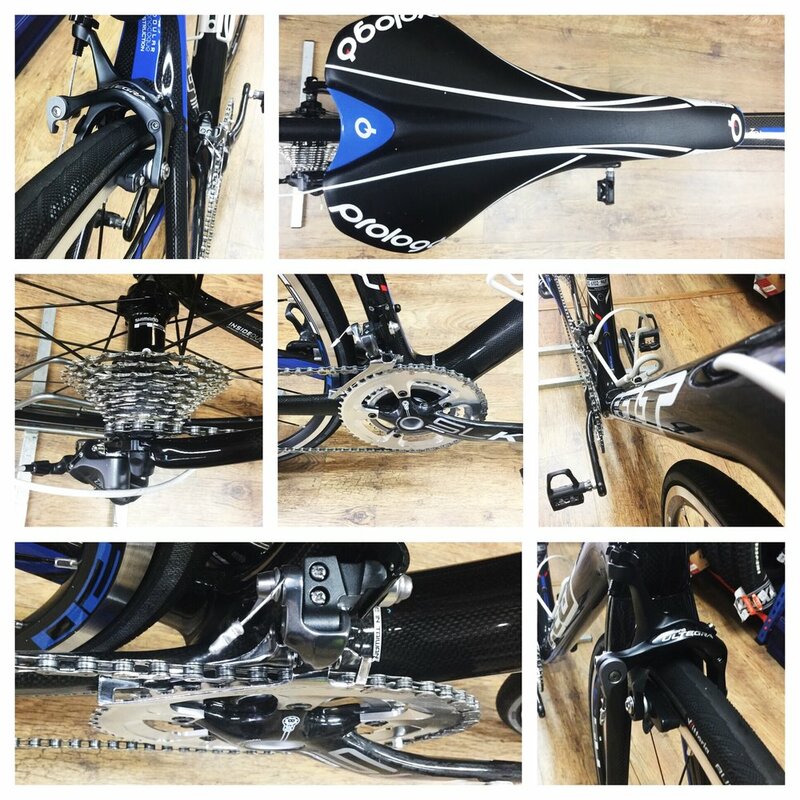 This #Marin Rift Zone landed in #Tooting today! #Balham High Road is the place to be to get a look at this beauty. 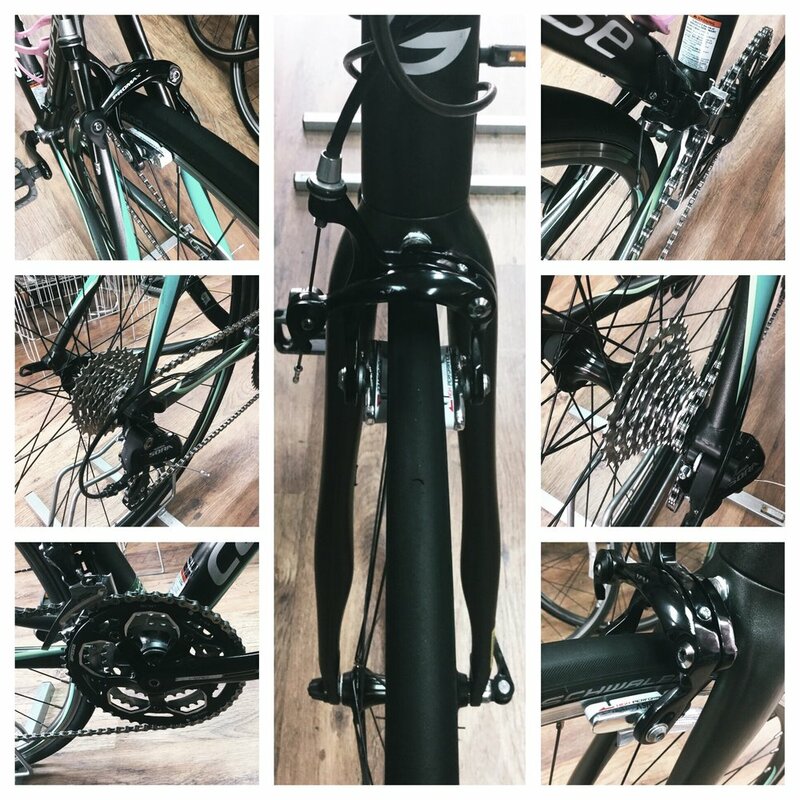 The #Tooting workshop on #Balham High Road cleared out this #Bianchi with a Gold service. 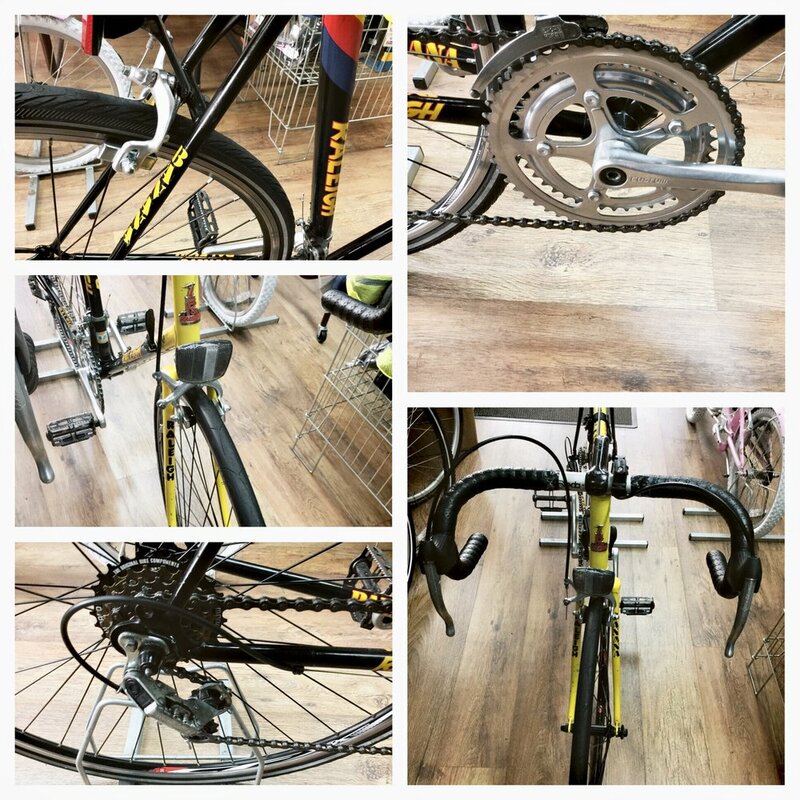 She was a bit unloved when she came in but now she's had her treatment, she's dialled in and we think she looks and rides better than new! 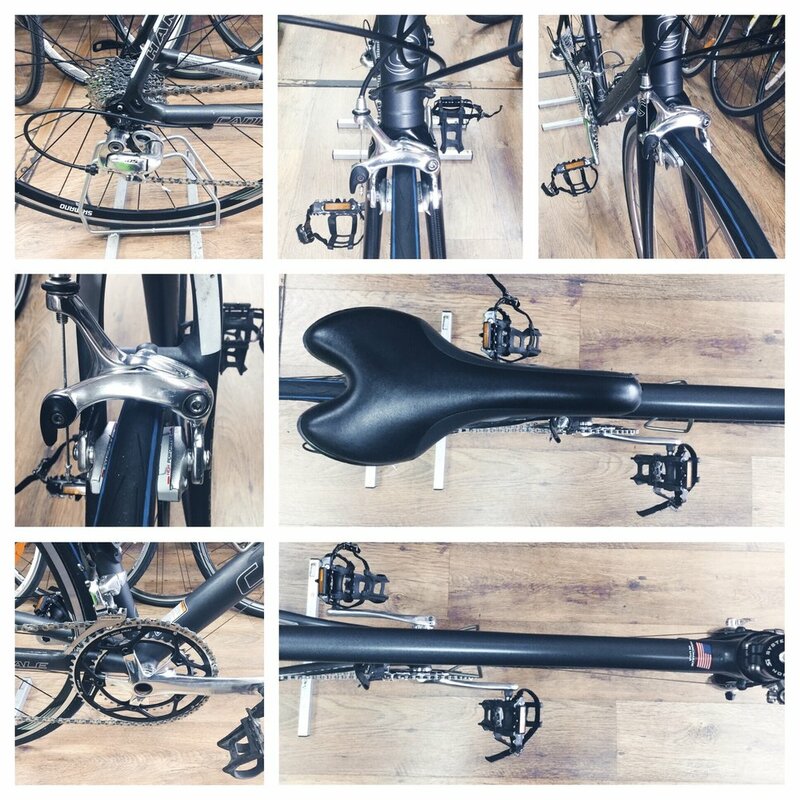 Our #Cytech accredited #Tooting workshop is busy with services waiting! 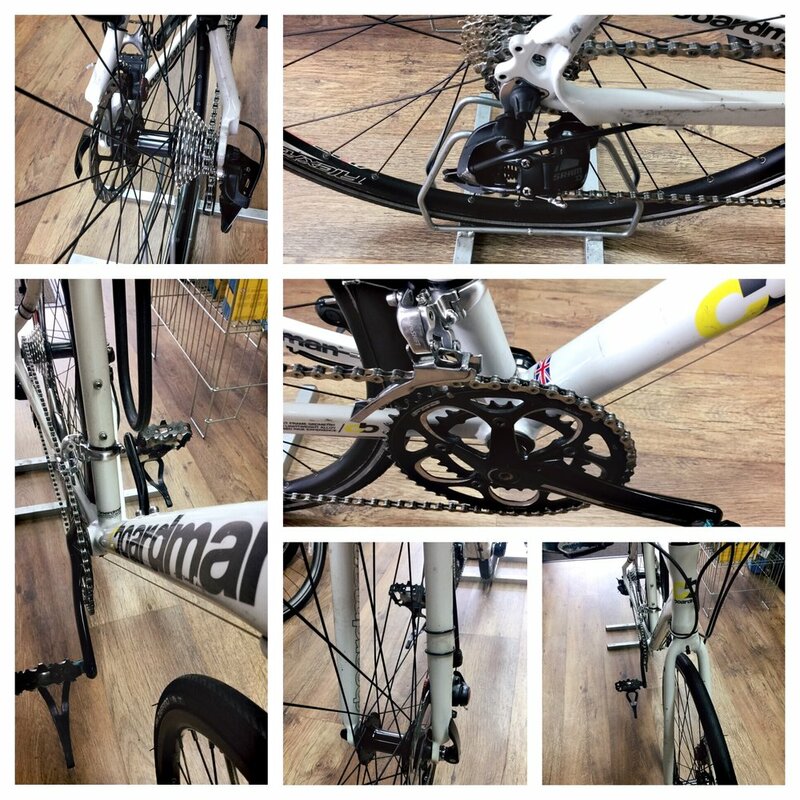 Out the door already is this #Pinnacle that came to us in a sorry state but is now looking and riding sweetly. Back in the #Tooting workshop and we're knocking out the services. This workhorse visited with us for some TLC. All better now and already back on the road. 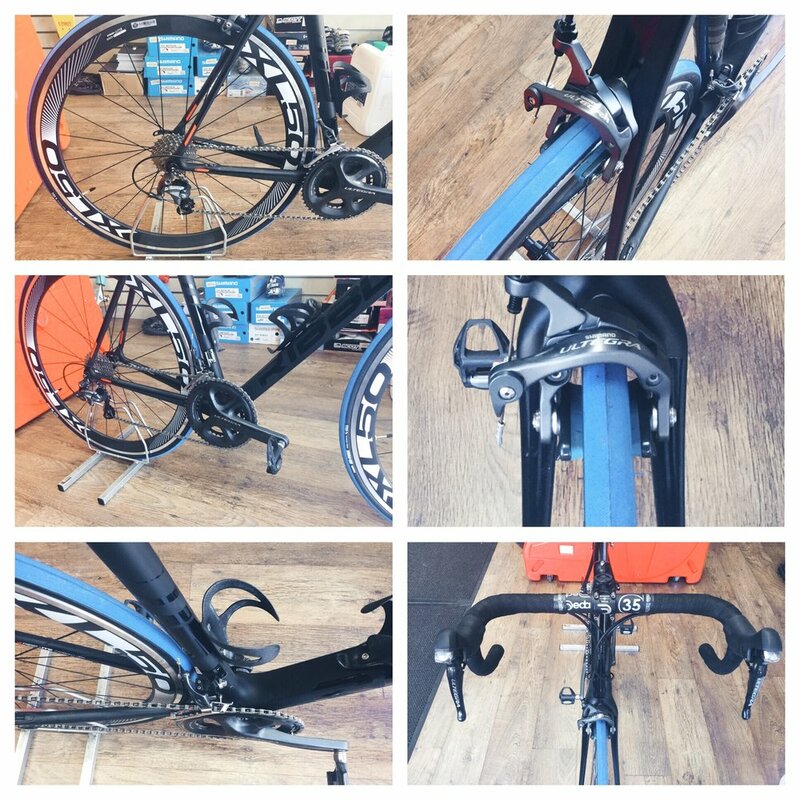 Our #Tooting workshop serviced this Argon & she looks great. 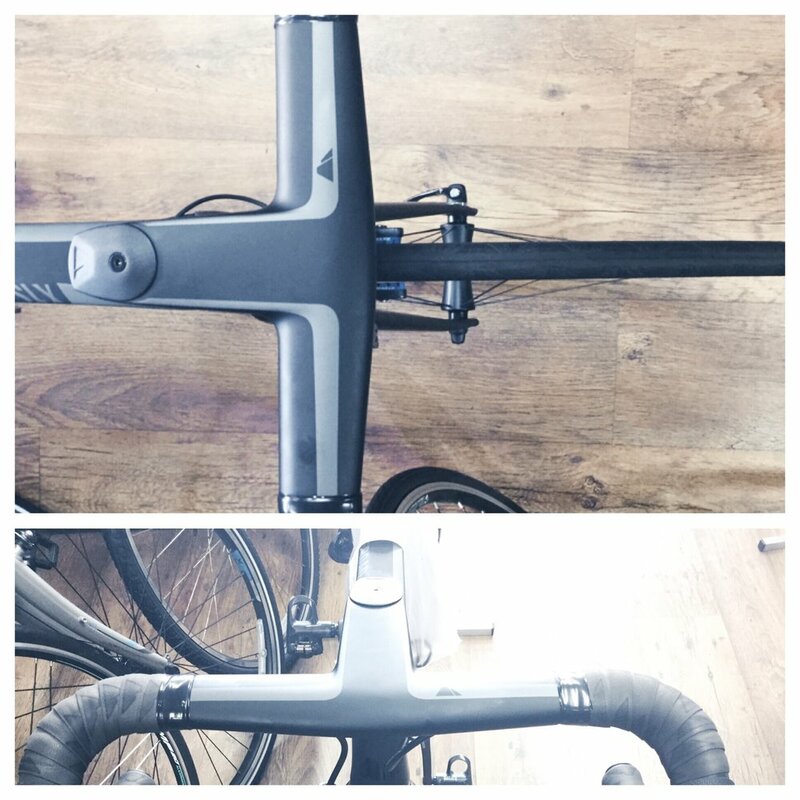 Added Bar Tape just finished her off nicely. The only #Cytech 3 qualified workshop in Tooting! 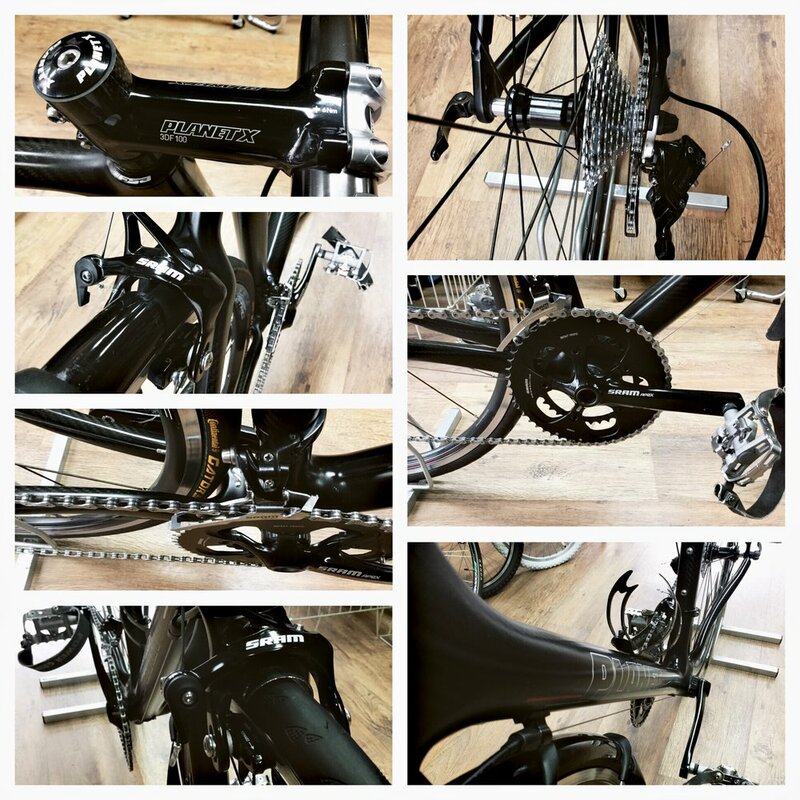 Our Pro #Cytech #Tooting workshop is back after the Holidays & cracking through services. 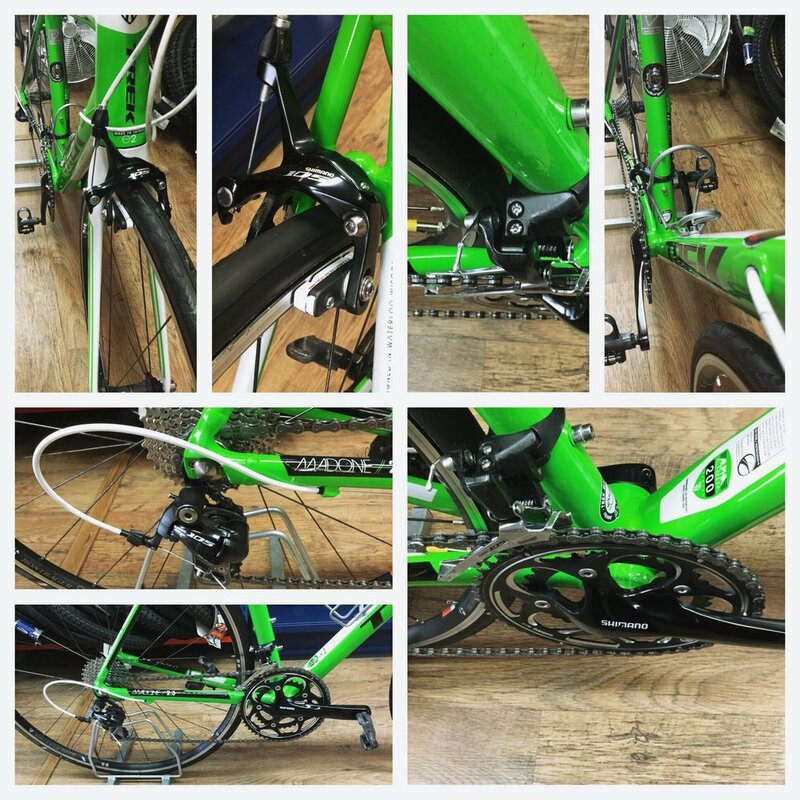 We've had a few days off in the #tooting workshop but when we get back on 29/12 we'll be pumping out more services like the one to this #planetx Came to us in a bit of a mess but now she's looking good and riding great! 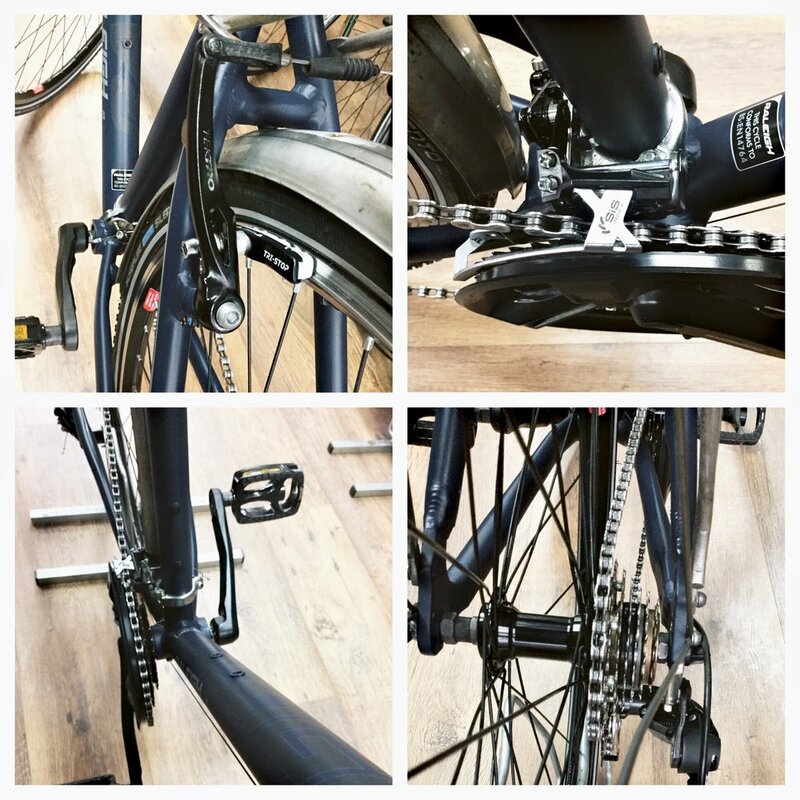 Our #Tooting workshop opens again tomorrow at 9.30 drop your cycle in soon if you want it serviced over Xmas! 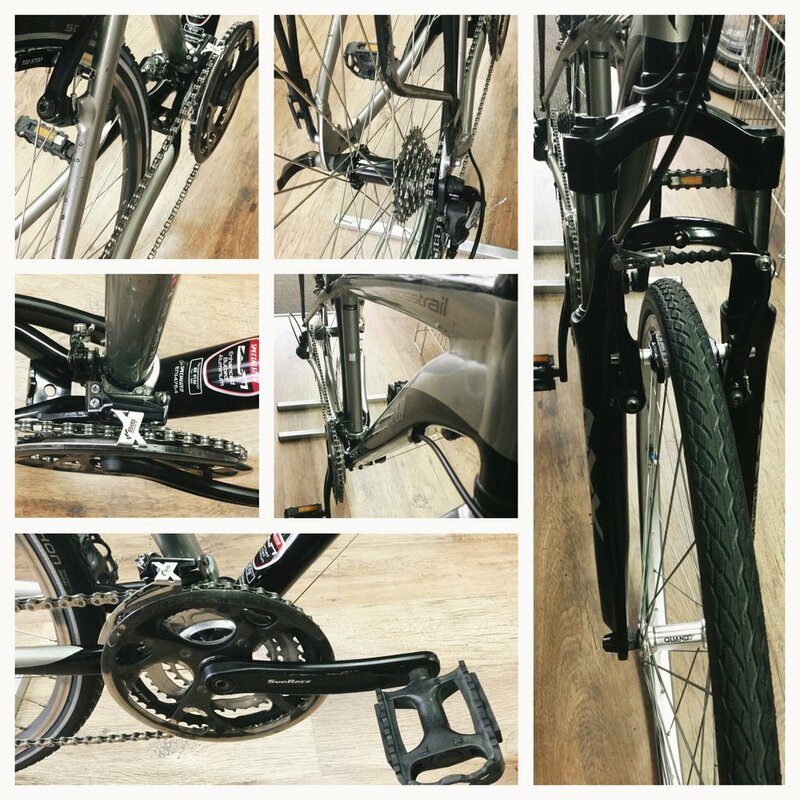 Our #Tooting workshop has this brand New #Cinelli Experience Road Bike for sale. 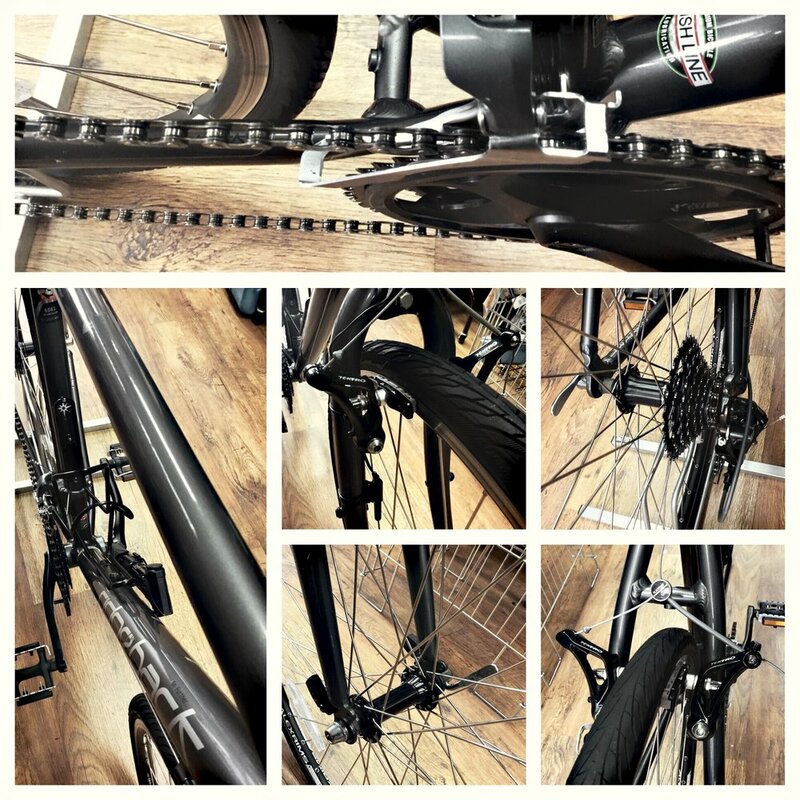 #Shimano 2 x 9sp Groupset, #Miche brakes and upgraded #Miche Reflex RX7 wheelset. 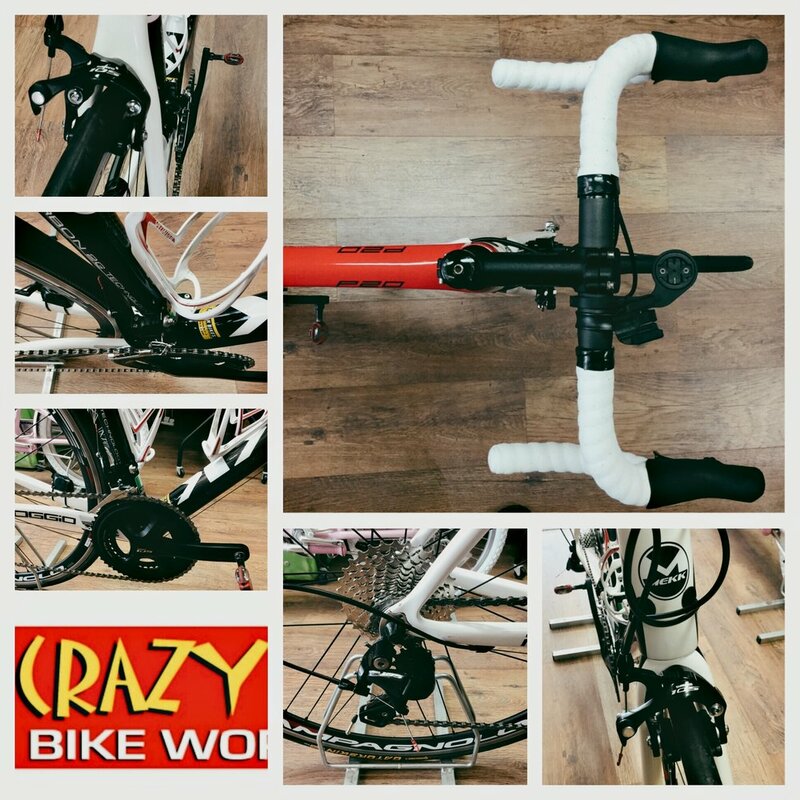 Was £934 but now £799. 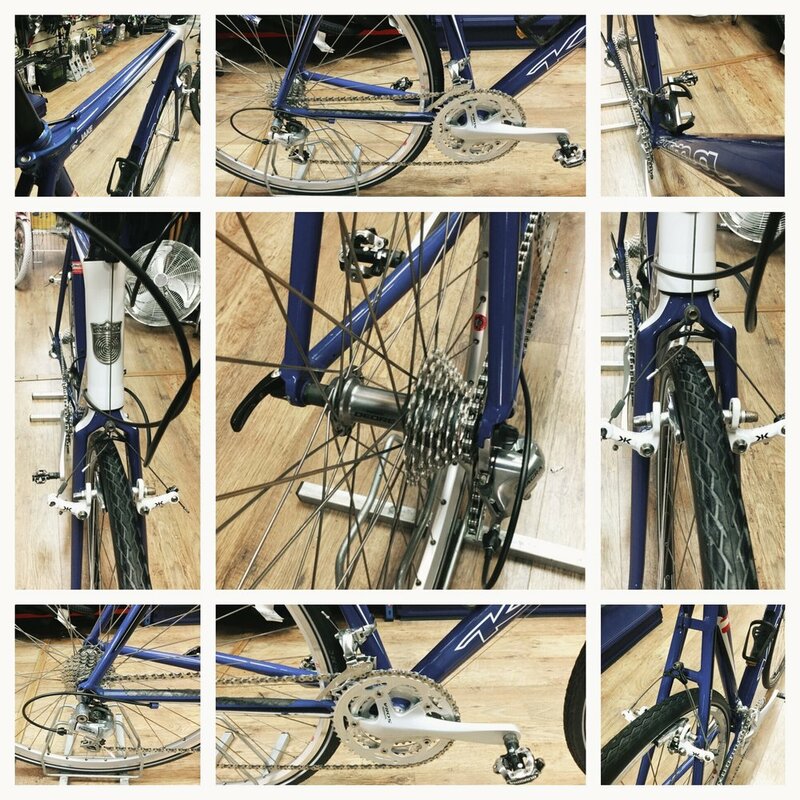 We work on hundreds of bicycles (and other things) of different shapes and sizes that come to us in various states of disrepair. We like to take a picture of them before and after as a record of the work we do. Here are some machines we've worked on. Is yours amongst them?